an older version of React Native with this module though, some features may be buggy. Since react-native 0.25.0, React should be required from node_modules. versions you should add react as a dependency in your package.json. declaratively controlling features on the map. Tiles can be stored locally within device using xyz tiling scheme and displayed as tile overlay as well. This is usefull especially for offline map usage when tiles are available for selected map region within device storage. * The size of provided local tiles (usually 256 or 512). See OSM Wiki for how to download tiles for offline usage. Place components you that wish to overlay MapView underneath the MapView closing tag. Absolutely position these elements. Create the json object, or download a generated one from the google style generator. The <MapView /> component and its child components have several events that you can subscribe to. This example displays some of them in a log as a demonstration. with other gestures, giving a nice feel. Further, Marker views can use the animated API to enhance the effect. compatible with the Marker views. Not sure if this can be worked around yet or not. Gradient polylines can be created using the strokeColors prop of the <Polyline> component. color of the default marker by using the pinColor prop. can be interacted with like any other view. the <Marker />'s title and description props. Markers can be customized by just using images, and specified using the image prop. Markers are draggable, and emit continuous drag events to update other UI during drags. Enable lite mode on Android with liteMode prop. 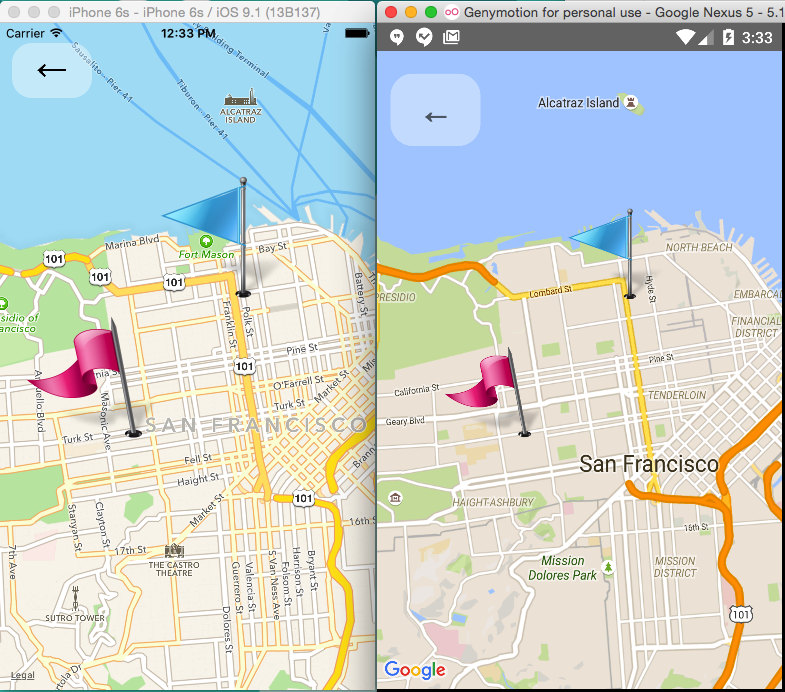 Ideal when having multiple maps in a View or ScrollView. Poi are clickable, you can catch the event to get its information (usually to get the full detail from Google Place using the placeId). The MapView can accept an AnimatedRegion value as its region prop. This allows you to utilize the Animated API to control the map's center and zoom. Markers can also accept an AnimatedRegion value as a coordinate. Pass an array of marker identifiers to have the map re-focus. Pass an array of coordinates to focus a map region on said coordinates. Make sure that you have properly installed react-native-maps. Check in the logs if there is more informations about the issue. Try setting the style of the MapView to an absolute position with top, left, right and bottom values set. When inputs don't focus or elements don't respond to tap, look at the order of the view hierarchy, sometimes the issue could be due to ordering of rendered components, prefer putting MapView as the first component. Handles basemap URLs, map recentering, Callout views (iOS only for now), drawing/moving/updating graphics onto the map, routing, and single tap listeners. 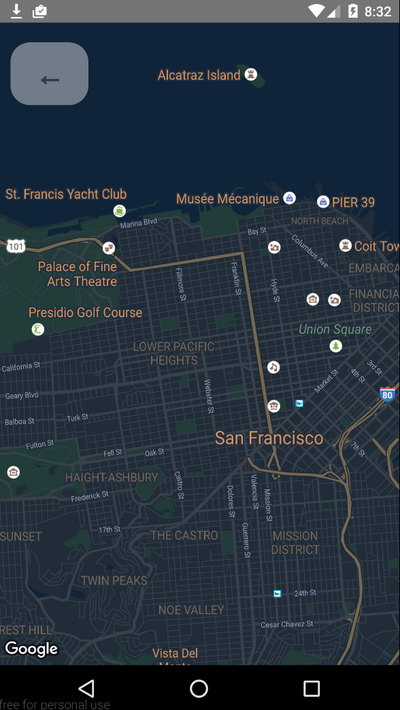 Customizable Cedar Maps autocomplete component for iOS and Android React-Native apps. Recipe search engine that lets you search by ingredients you have at home. Find thousands of recipes you can make right now. Built with React Native.